Due to continued expansion of African Swine Fever in China, China lost over 5 million sows on the last 12 months. This massive production decline, which is still continuing, should be favorable in 2019 for exporting countries like North America, Brazil, Europe and especially France. 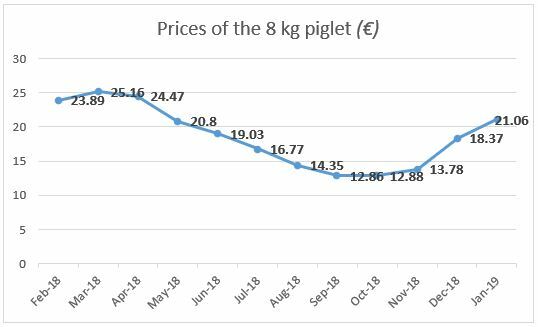 The question that we can ask ourselves today is : how soon will we see this impact on the price of French pork? 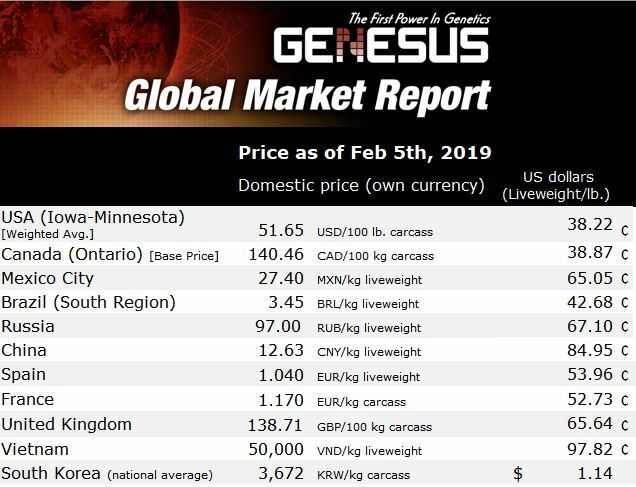 The market of the 8 kg weaned piglet is fluid and the price is rising. How to stop this trend, if not by offering more “quality” and choice to consumers and thus segment the market. This is what the recent news suggest. On January 16th, E.Leclerc store and its packing subsidiary Kermene launched a new sector named “collective level 2” which will offer consumers a pork based on animal welfare criteria more advanced (welfare farrowing pens, natural light in buildings or outside access …), but also a better price paid to the producer (price disconnected from the market and indexed on feeding cost). We heard about 1.60 € paid to the producer in February. 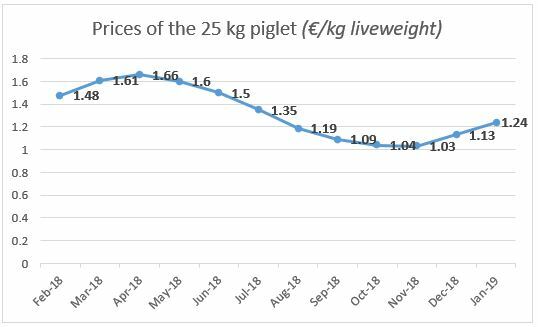 Also in January, Cooperl cooperative, the biggest pork producer in France and a big promoter of Piétrain for many years, launched a “high premium” Duroc pork raised on straw! The goal is to “make good food for our customers” says its President.